Josh Azzarella is an artist whose moving image works are the result of manipulating known films within popular culture to create an entirely isolated experience. 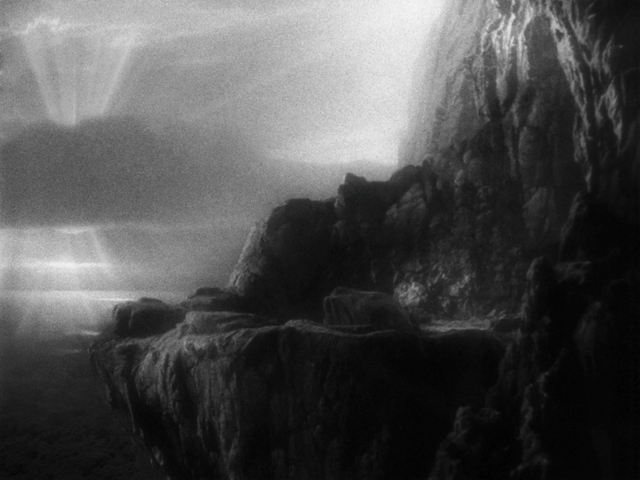 For instance, his breathtakingly immersive Untitled #105 (SFDF) (2009-2011) three-channel installation presses pause on three singular moments within the landscape of King Kong. The work becomes the place where the viewer remains in a perpetual period of waiting for the “monster” to arrive; he never does. This tension of not-seeing but still knowing expands in Azzarella’s film modification of The Wizard of Oz, Untitled #125 (Hickory) (2009-2011). 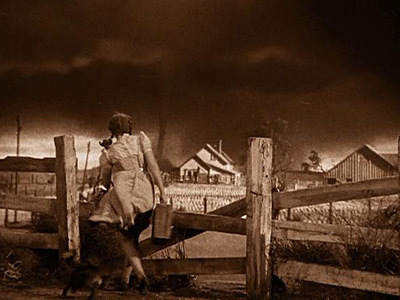 Admittedly an obsession of his, the familiarity of The Wizard of Oz that is embedded in American culture is profound. From its infamously troublesome production (rumors of suicide, anyone?) to its glorious introduction to technicolor to its popularity through annual television airing, the story of a young girl with dreams who travels to far only to find that what’s important is the love of home is part of America’s narrative. Throughout the world people have seen this film; it’s a universal point of reference. This work extends a moment of transformative transition (Dorothy’s journey to Oz) to envelop the entire time of her experience. Just as dreams which realistically occur in flashes of seconds in our brains can seem like hours or days, so Dorothy’s hours of unconsciousness take on a five day journey of transformation in Oz. What Azzarella’s interventionist act does is abstract an image so familiar to us that we can no longer recognize it. The naked eye cannot detect movement. The film becomes unwatchable. And why is this important? Because durational films based on popular cinema (also think of Ivan Zulueta’s Frank Stein and King Kong in the early 1970s along with Douglas Gordon’s 24 hour Psycho and Five Year Drive By in the 1990s) force audiences to re-consider ways of seeing. They challenge what we think we know about narrative structure by inverting the movies we know and love as they morph into something new to critique, consider, and debate. These life of this films actually lives on in these works as both a love letter to the story and provocation regarding the fallacy found in cinema. These artists films reveal and remind us that we see onscreen is never really real.